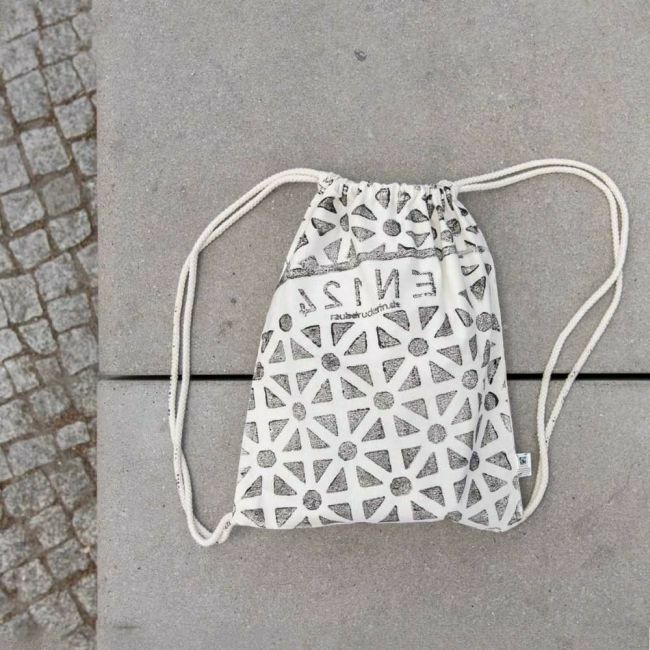 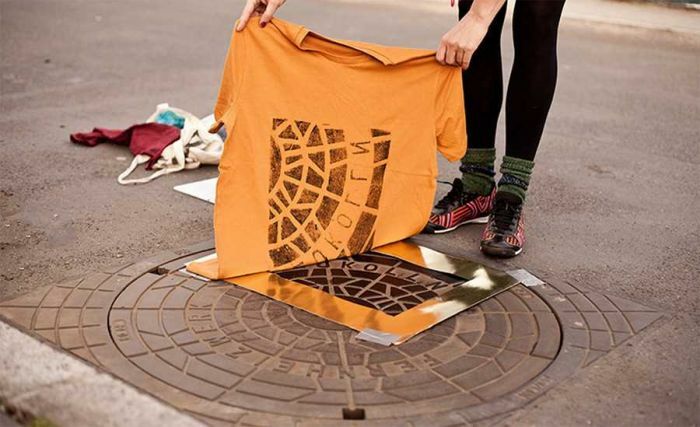 A team of Berlin artists known as Raubdruckerin have found an unusual way to make t-shirts. 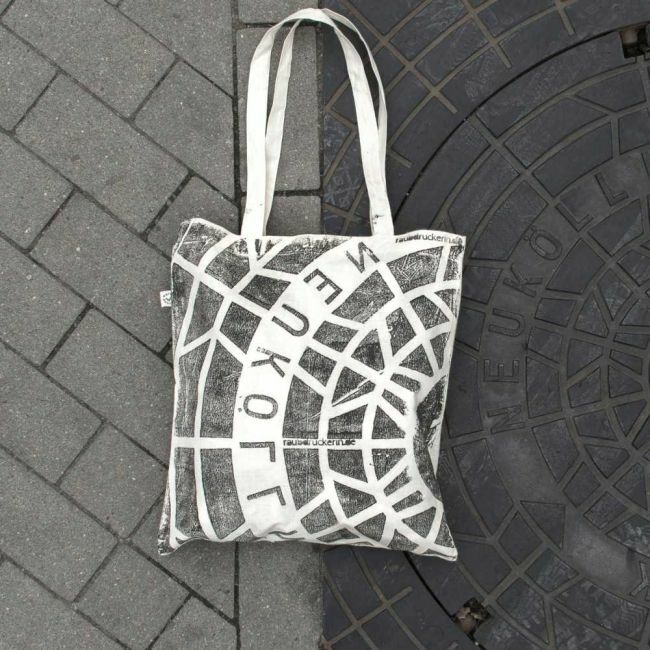 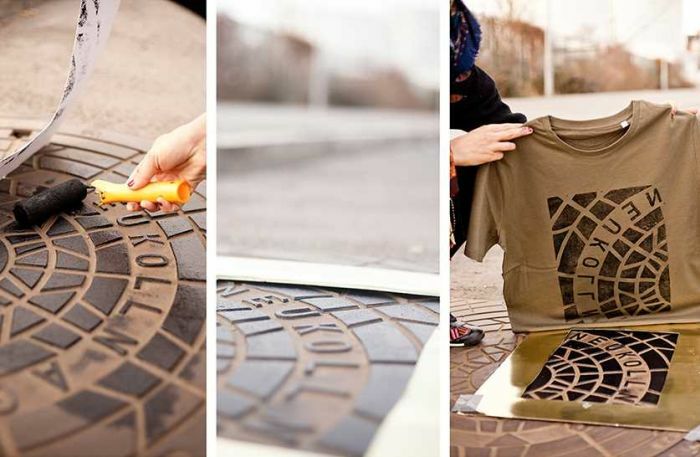 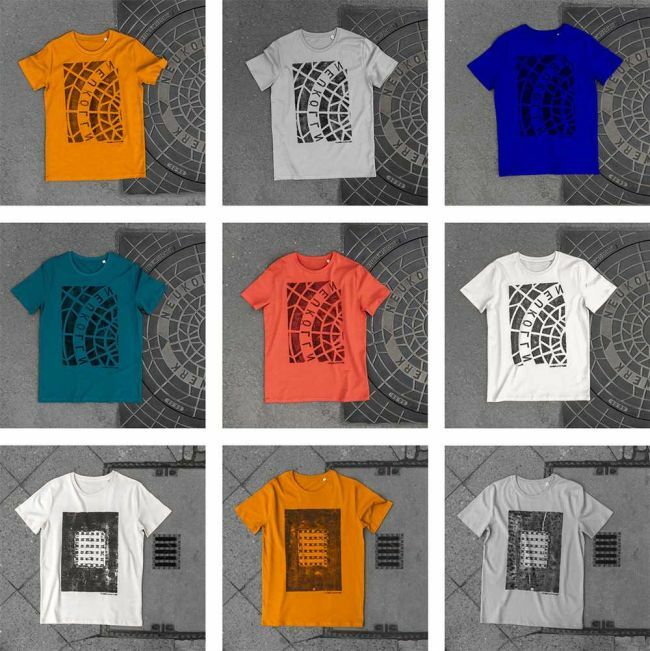 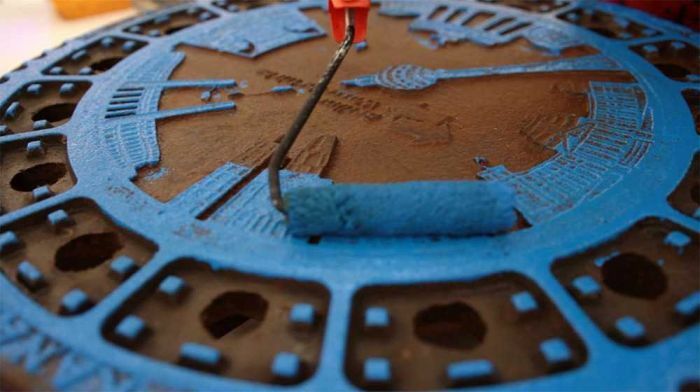 They apply paint to manhole covers then use them to print designs on their shirts, then they sell them online. 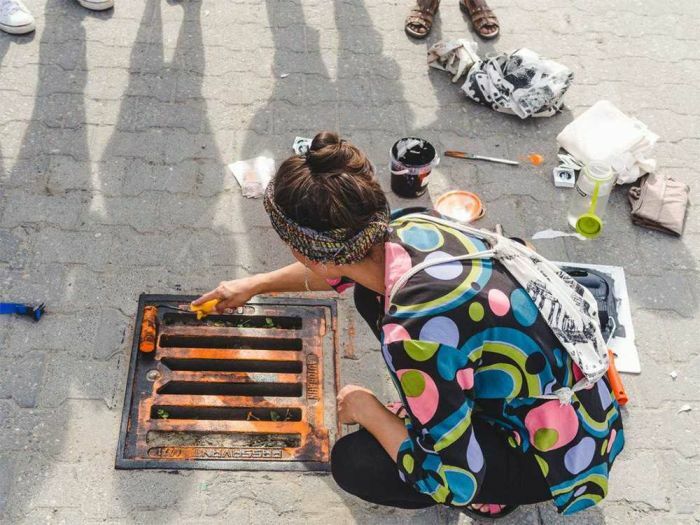 So do they clean the manhole after?